Caipirinha is the national cocktail of Brazil. 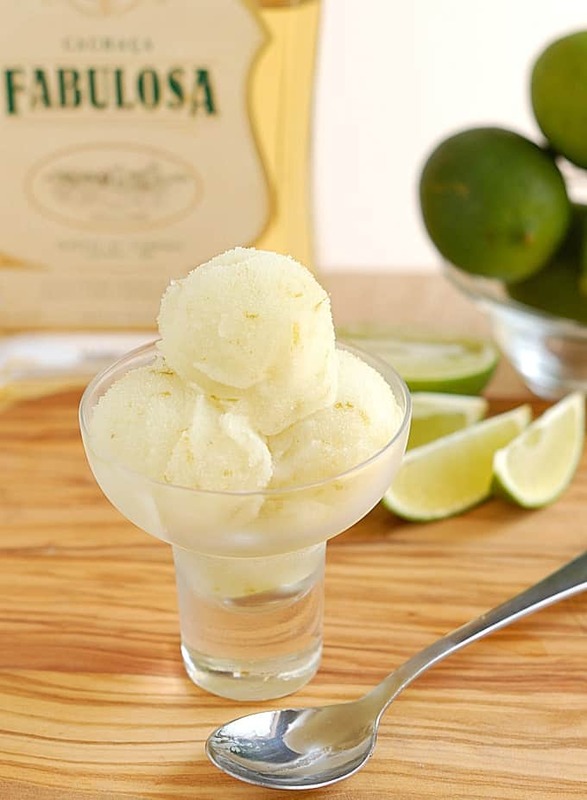 I love them so much I created a recipe for Caipirinha Sorbet. 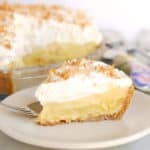 It’s made with just 4 ingredients! No ice cream maker? That’s Ok, you can make caipirinha granita instead. Our daughter spent her junior year of college living and studying in Brazil. We visited her over the Christmas holidays and spent 2 weeks traveling around that spectacularly beautiful country. We visited an old mining town in the mountain region, we took the most amazing cruise on the Amazon River, visited the stunning Iguazu Falls and ended our trip in Rio de Janiero. Rio is known as “the beautiful city” and it truly is a beautiful and vibrant place to visit. Brazil is not a big wine drinking country. Since I really enjoy a glass of wine, that fact had the potential to ruin my vacation. But I am adaptable so I was quite pleased to be introduced to the national Brazilian cocktail, the Caipirinha. A caipirinha is made with sugar, lime and with Brazil’s special sugar cane liquor, cachaça. Since we were in Brazil during December and January, it was summertime in the southern hemisphere. The weather was hot, hot, hot, especially in the Amazon. A caipirinha is the perfect refreshing drink for that climate. So I can understand while Brazilians are more partial to cold beer and caipirinhas than red wine. We drank many (and by “we” I mean “I”) caipirinhas during our 2 week vacation. We bought a couple of bottles of cachaça so we could make caipirinhas at home. 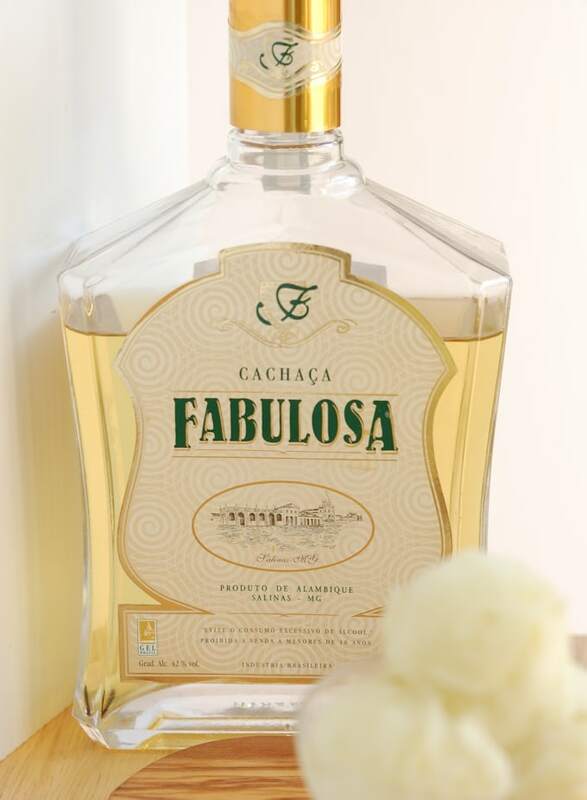 Well, for the last 2 years the cachaça has been languishing in the liquor cabinet. Alcohol and sugar will lower the freezing point of the sorbet. Since a caipirinha has both sugar and alcohol I had to play with the proportions to get a mix that tasted like the delicious cocktail I came to know and love in Brazil, but would still freeze into a scoopable sorbet. We had to taste test 3 batches of Caipirinha Sorbert to make sure it was just right. I know, I know, I do suffer for my art. Poor me. Caipirinha Sorbert is super easy to make, delicious and refreshing. 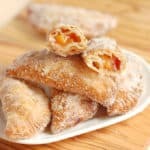 The perfect treat to enjoy while watching the summer games. 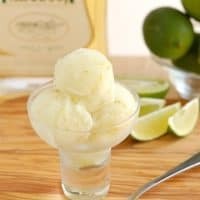 Oh, and if you’re a bit of a lush like me and think a little more liquor flavor is usually a good thing, you can drizzle just a little cachaça over the sorbert to make it a Caipirinha Sorbet “float”. Caipirinha is the national cocktail of Brazil. 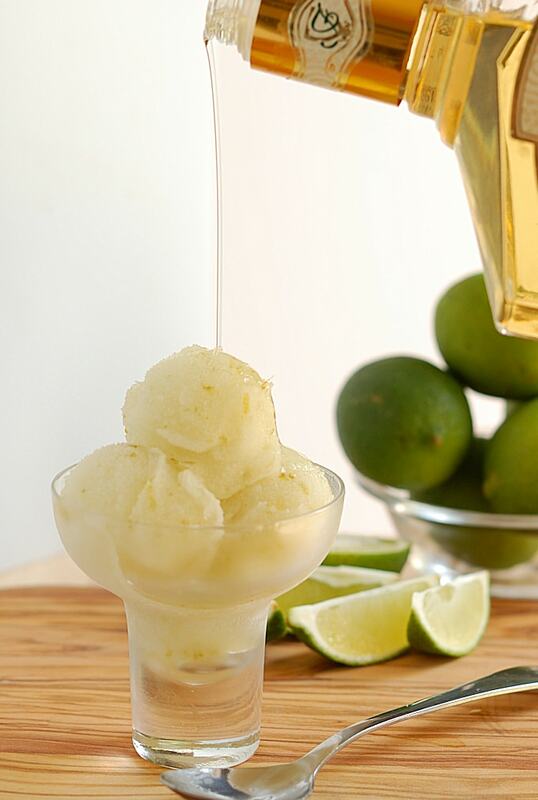 I love them so much I created a recipe for Caipirinha Sorbet. 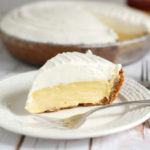 It's made with just 4 ingredients! No ice cream maker? 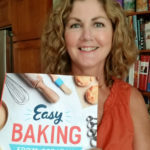 That's Ok, you can make caipirinha granita instead. 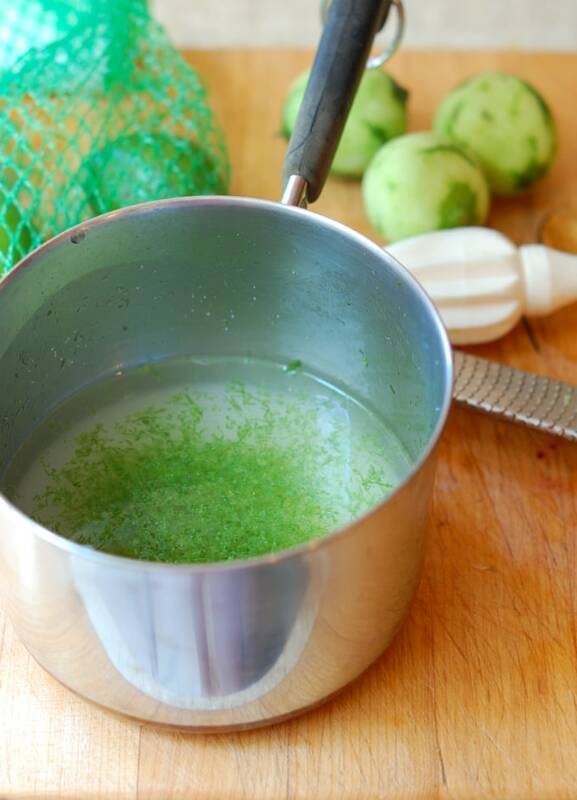 Combine the sugar and water in a small saucepan and stir over medium heat until the sugar is dissolved. If you don't have an ice cream maker you can turn the mix into a granita. 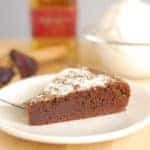 Pour the mix into a flat metal pan, like a 13x9 brownie pan. Place the pan in the freezer for 30 minutes. Use a fork to stir the mixture and scrape any ice that formed around the edges of the mix. Repeat every 30 minutes for 3-4 hours until you have a fluffy, scoopable texture made up of small ice crystals. Fabulosa! Beautiful looking sorbet. 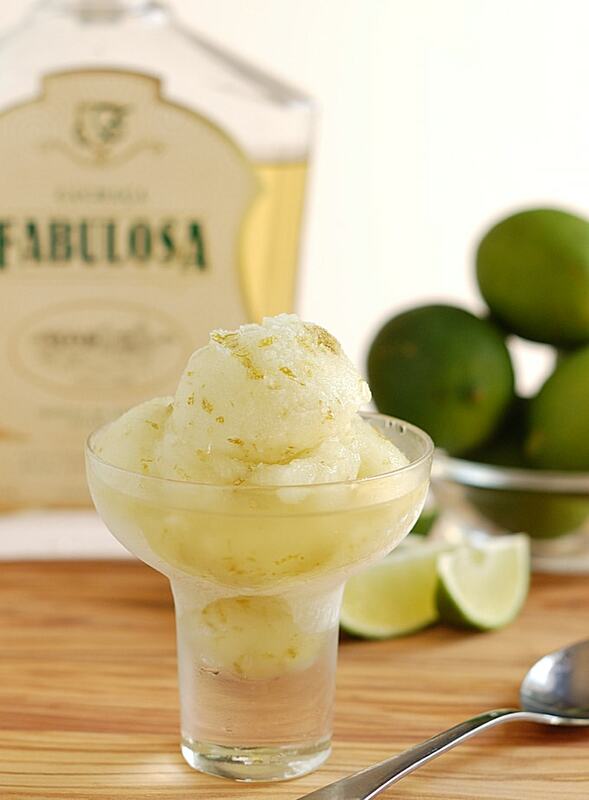 Love the shot of you pouring the cachaca over the sorbet. Looks delicious. I hope all is well. Thanks, Kimberlie. All is very well, thanks. I guess I’m a little bad because I like that little extra cachaca over the sorbet. I had my very first caipirinha not too long ago, and loved it. This sorbet would totally satisfy me as well. What a refreshing treat. A caipirinha is very satisfying in hot weather.The sorbet is even better in hot weather. I am not a big drinker, so I don’t know how much the liquor would affect the sorbet, but I was thinking of making it for the residents in the assisted living where I work as we will be celebrating the Rio Olympics. 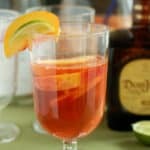 Most don’t have an issue with alcohol, but I was just wondering if there is a way where I could make both this recipe and an alcohol free batch. You could certainly make the sorbet without the liquor. It might freeze a little harder, but that shouldn’t be a problem. 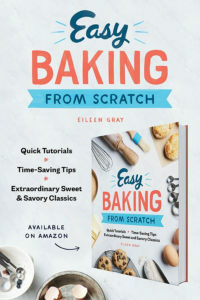 I would add an extra tablespoon of sugar to the non-alcohol batch to keep it a little softer. Enjoy! This looks incredible! 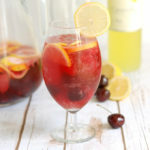 I love the idea…caipirinhas are my new favorite!